A couple of weeks ago I found myself loitering the late night streets of Fort Greene, Brooklyn with Kenny, my cousin, looking for nothing in particular. It wasn’t long before we came across Pedigree, an overpriced sneaker gallery (hundreds of dollars for gym shoes? Seriously?). Kenny can be a bit of a sneaker geeker and fortunately, Pedigree caters to that demographic. Not one pair of gym shoes in that store I have ever seen before (like there was not ONE Nike shoe box lol). That particular evening, Pedigree was was hosting a pop-up for the Detroit-based LeRoy Jenkins who was selling his sweatshirts, belts and tee’s. Unfortunately Jenkins currently offers nothing for the ladies so right as I was about to leave, a couple gentlemen who were in the shop called me over to rap…you know, my who/what/when/where. After asking for my business card and learning that I had none (I know, epic fail smh), one of the men whipped out his keys. Hanging off of his keychain was a small, plastic black rectangular box. He slid the lid to the side of it and presented me with a small, rectangular business card that was stored in the little box attached to his keys. I gave him a puzzled look…that was not the business card I was expecting. From there he referred me to MOO.COM and assured me I would find what I was looking for there. For the rest of the night I made sure I didn’t lose his business card, despite it’s size. I met a lot of people that night, but he definitely stood out and I was able to remember him simply because of his unique business card. The very next day I headed to Moo.com and learned that they specialize in MiniCards, small, rectangular business cards that can be customized with your own logo, information and color scheme. For many of their factory themes, they offered multiple looks that they would print for no additional cost. Because I didn’t have my logo completed yet I settled for one of their themes. I quickly ordered 100 cards that features 5 different looks ($25) and a pink carrying case ($5) for my keychain. 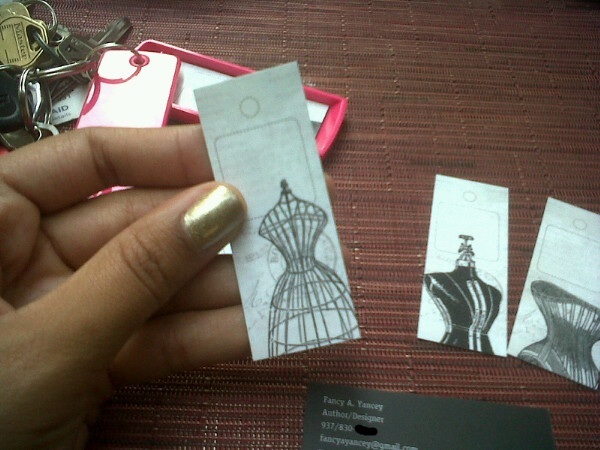 These business cards are small, but their unique size makes them impactful! 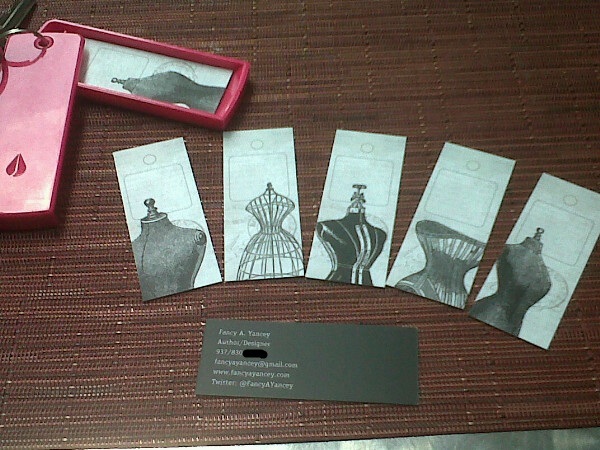 The cards are printed on thick, durable card stock…it is heavier than a standard business card. I love that! My theme features these five different designs on the back of each card. That pink case easily slides open yet will remain closed when shut. Your information can be printed using any combination of red, white and black…for example, I could have elected to have a red background with black letters. The cases come in several colors too-you can pick from black, white, pink and orange. For $30.48 I’m a happy camper! The ONLY downside I have found regarding this product is the capacity of the cardholder to hold up to 12 cards. Fortunately, when Moo.com shipped my cards, they packaged them in an extremely durable, recycled pulp board that has a removable lid that is meant to be able to withstand extreme banging/knocking (think: inside a woman’s purse) without bursting open and messing up your cards. I carry that box in my purse so that just in case I’m at an event and need more than 12 cards, I will be prepared. Ohio, it might be time for us to branch outside of the thrifty discounts that Vistaprint has gotten us accustomed too. If I’m actually late, and you all are already hip to this, then I am pissed at all of you for not alerting me to Moo.com sooner! Niiiiiice! I’m already abuzz with ideas!